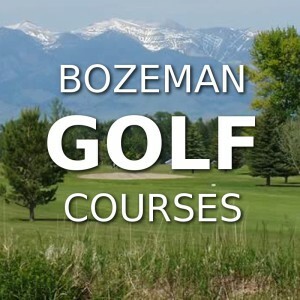 Bozeman, Montana, has six excellent golf courses to explore that offer staggering mountain views, natural beauty, and convenient location. There are three public golf courses. One is located at Bridger Creek Golf Course, and two different public golf courses are located at Cottonwood Hills. Black Bull, Riverside, and Valley View are private golf courses. Rated: (4.8 / 5) Located at the base of the Bridger Mountains, only ten minutes from historic downtown Bozeman, Bridger Creek Golf Course is one of Montana’s most scenic and challenging golf courses. Having hosted two U.S. Amateur qualifiers and many state and regional tournaments the course continues to draw rave reviews for it’s condition and complexity. But tournament competitions are just a small part of our golf season activity. Rated: (4.8 / 5) Cottonwood Hills Golf Course is the Gallatin Valley’s finest and foremost public golf club. Cottonwood Hills Golf Course has two courses, a 7053 yard Premier Course designed to test every bit of your skill, and the Valley’s only 1181 yard Executive Par 3, just right for the beginner and short game artist alike. Cottonwood Hills is the first, and foremost public facility with over 25 years of serving and supporting the golfers of Bozeman and the Gallatin Valley. Cottonwood Hills is a family owned business, devoted to the golfers of the Gallatin Valley and all those that visit from around the world. Rated: (4.5 / 5) Riverside Country Club is a member-owned Club established in 1959. The club is located on the north end of Bozeman, set under the Bridger Mountain range and borders the East Gallatin River. Rated: (4.5 / 5) Black Bull Golf Course is located on the west side of Bozeman and is the premier private golf course situated in the heart of the Gallatin Valley. Black Bull is a master-planned private golf community and is 40 minutes from the Big Sky Resort Ski Area. The 485 acre Black Bull development features a gently rolling landscape and panoramic views in every direction. The full service club includes walking paths, a fitness gym, pool, and superb dining amenities. Rated: (4.3 / 5) Valley View Golf Course is an 18-hole course at the Valley View Golf Club facility in Bozeman, Montana. The Valley View Golf Course features 6,262 yards of golf, and was designed by Theodore Wirth. The Valley View golf course opened in 1950 and is a USGA private club membership required in your hometown. Valley View Golf Course is a challenging course with varied slopes and lush greenways that cover over six thousand acres. The Valley View was first opened in 1950, providing pristine blue grass golf for private members only. Its facilities include a small clubhouse and an excellent driving range.